My Tip of the Day: Go into every situation knowing your own power, wisdom, and worth. And be grounded in that realty and don’t let anyone project their lack of this understanding on you. What do you love most about Your City? Denver is a wonderful city with great weather and nice people. But what I love most is the food, lots of farm to table restaurants, they take great care in sourcing their food. I prefer high vibration food so it works for me and they are so passionate about it. My Goal of the Day: My goal for each day is to be productive. Even when I’m not doing hair, I try to accomplish as much as I can each day. My Thought of the Day: GRATITUDE.. As soon as I open my eyes each morning, I take a breathe and give thanks to God for waking me up for another day! . What should everyone try at least once? Traveling alone! It used to intimidate me when I first started in the industry but I realized just how much it’s helped me grow as a person. My Goal of the Day: To learn, grow and love. My Tip of the Day: Let the people in your life know you love them. What drink do you need to get through the day? Water, it’s pretty much all I drink. I use filtered water from my sink, and put it in either my gem-water bottle, or our ERA decanter & Vial. We always have our Diamond Vial in our ERA decanter filled to drink, as it keeps me fortified throughout the day. I try and always get in my 8 glasses a day. As far as the end of the day, I’m not one who needs “a drink” at the end of the day, BUT if we’ve had an extra stressful day and go to dinner all bets are off…lol! I’ll have a glass of wine, or if we’re eating sushi a Nigori Sake is my favorite. Oh, and I love a great green tea. April Uchitel is the CEO at Violet Grey, a content and commerce company that was born out of Hollywood beauty culture. Prior to Violet Grey, April was the Chief Brand Officer and founding team member at the digital shopping destination Spring. With over 25 years of experience in the fashion industry, working with global and emerging brands, April led brand curation, acquisition and strategic engagement efforts, bringing Spring’s total brand partners to more than 1,600. Prior to Spring, April was the EVP of Global Sales & Strategy at DVF, where for 9 years she ran global sales & merchandising, and played an essential role in developing DVF into the iconic brand it is today. My Goal of the Day: Be present! (at work - stay focused, when home - give my attention to my family) this is not easy and is a daily conscious practice. I am new to LA (16 months) from NYC and still think of “My City” as NYC - but every day I compare the 2 cities less and less and love the community I am building that bridges both coasts! Breakfast is (sadly) a Chai Latte - fave restaurant is Spartina! 7:00 PM - I’m out 2 nights a week on average at events or dinners that start at 7pm - otherwise I am driving home from the office at this time…. 11:00 PM - Working online - most nights I go to bed at 12am. Instagram, WAZE, Life360, Fave insta acct is VIOLET GREY! Paola Gugliotta is the co-Founder and Director of Sepai Laboratories, a technologically advanced skincare brand that fuses the cleanest, purest and most reparative and effective components available for treatment of the skin. Born and raised in Venezuela to Italian parents, Paola studied several artistic degrees, and left her country with only 22 years to live in Italy, Paris until settling down in Spain where she obtained an MBA from ESADE, one of Europe’s top Business School. After building a career and holding various managerial positions within the skincare industry, she realized the next natural step to feel fulfilled would be to take an in-depth look at and specialize in the study of skincare formulation, dermo-cosmetics and active ingredients specializing on the biotechnology applied to skincare. Her interest in formulations was piqued early on by her mother, who built a successful career as a professional biologist in the pharmaceutical industry with a specialization in biotechnology. Her childhood haunts included her mother’s laboratory where she saw firsthand the fusion of components and learned "action vs. reaction". Seeing how laboratory work could effectively enrich the lives of others, her instincts led her to create Sepai, in turn enhancing and improving the conditions and ailments of individuals who are seeking clean, effective no-fuss skincare. Fascinated with creating and developing beauty concepts and products, Paola’s passion is to materialize ideas and develop them paradigm free:“I am in a journey towards the perfection of the safest and most effective skincare, where a constant research of the pathway of the formulations is paramount. My long-term goal is Educate the consumer about the the skin, which means: Don´t give them the answers, but make them think a little bit further. As CEO of Sepai Beauticeutical Division, I have been able to develop the brands sepai.eu , gendecode.sepai.eu and most recently apoem.eu. Amazingly unique paths to beauty. As a globetrotting businesswoman, wife and mother, Paola knows and understands the pressures and hectic way of life as well as the need for perfection and optimization of time and resources. Events and circumstances of daily life led her to continue her passion of discovery and simplifying the lives of others, and to transfer her knowledge and experience into a skincare line with universal appeal--one that is highly effective with a targeted, simplified and potent mix of complimentary and technologically advanced components. Sepai Beauty is headquartered in Barcelona, Spain, where Paola lives with her husband and three children. My Goal of the Day: to inspire my kids to be curious, interested and analytical about what surrounds them. My Thought of the Day: my difficulties have been my best lessons, without them I would`ve never achieved the experience I have today. My Action of the Day: forget about the job deadlines and focus my attention on my kids, that need me so much. My Deed of the Day: Stay calm and focused, don’t take situations personally. My Tip of the Day: Before you say something ask yourself: is it true? is it helpful? is it necessary? is it kind? Barcelona is a unique place, small and easy, the sea is within 20 minutes and so are the mountains. And the weather and the fantastic sunny days we have along the whole year are absolutely amazing. Just a cappuccino, but it must be Italian style.. which is not easy… the best way to get it is doing it myself.. this is what you learn from an italian mamma: she can cook and prepare anything better than any restaurant. 6:00 AM – Still sleeping, my alarm clock is set at 7 am.. We are in Europe.. you know..
10:00 AM – I am at the laboratory formulating the next launches for my brands, meeting suppliers of active ingredients or in congresses of dermatology getting to know the latest discoveries in the field to test them ASAP. I skip lunch: I practice fastening for longevity purposes and also I work non stop from 9 to 4 so I can pick up the kids at school. 7:00 PM - Is the juggler’s time: I am preparing dinner (and next day lunch for my teenager kid) while doing laundry, washing uniforms and preparing the snack boxes for the next day, checking the 2 younger kids agendas and answering some work calls all at the same time. 11:00 PM – You will find me writing a couple of emails while watching Netflix. I forget to drink very often… but 2 coffees each day are compulsory. Instagram is what I use the most, but I don’t have a favorite… I travel randomly through it. Pilates – what a way to get to know your body in depth. Under covers: I love that moment in which I am awaken but unconscious and feel I could stay in there for ever..
Aneela Zaman, Founder/CEO, began her career as a makeup artist in 1997 working in film, television and print across North America. Her celebrity clientele consisted of TV personalities, models, and large brands in the fashion industry. “As an artist, in my early twenties, I believed the face was the canvas; I was all about putting color onto the face." says Aneela when asked about her beginnings in the beauty field. 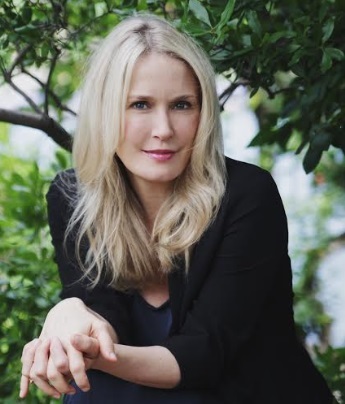 "By my mid-forties I realized it was really all about maintaining radiant skin, as we age we lose that special glow and elasticity in our skin. 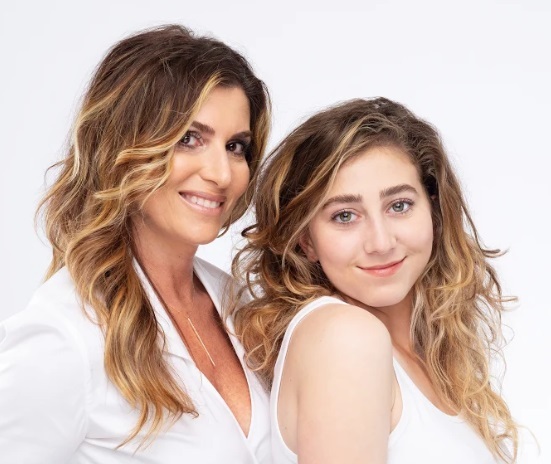 I knew it was vital to feed the skin with nourishing ingredients to help hydrate it and in turn create flawless radiant skin, and that's when I decided to reach out to my dad!" My Goal for the day: Daily goal setting is necessary to achieve success. Creating and following a daily routine keeps me focused on the tasks that need to be accomplished. My most important goal of the day is to answer all correspondences. From responding to emails to returning phone calls and reviewing comments and concerns from my brand's website, I always hold myself accountable for communicating in an efficient and timely manner. But, before any of this happens, I call my parents first to tell them that I love them. Dad is 83, mom is 74; they live in Toronto while I'm in Los Angeles. My Thought of the day: Another day of life, what a blessing!! So grateful to be doing what I love and building an incredible skincare brand, Zaman Skincare. My Action of the day: Smile as often as I can and make direct eye contact with people when they are speaking to me. Too often, people are looking down at their cell phones while missing opportunities to connect with others. I love actively engaging with others, even if it's while in a line at a local coffee shop. My Deed of the day: I love to make others feel beautiful and confident in their own skin. We all have the power to make someone else feel special, make them laugh, to say something nice to them so they feel good about themselves. Positive energy is a must in my world. My Tip of the day: Get up, move around and reach for the stars! I cannot survive without sunshine and the ocean. I live in Marina Del Rey, CA so I walk down to the beach every morning. I also love all the healthy food choices here (it's not hard being a vegetarian out here). Avocado toast at Cafe Gratitude. 6:00 am - Waking up, getting into workout clothes, walking down to the beach or hitting the gym. 10:00 am - Getting into my car and driving to Beverly Hills. Mauro's Cafe at Fred Segal on Melrose & Crescent Heights. Favorite meal: penne con porcini or the quinoa salad. 7:00 pm - It all depends on what day of the week it is. I'm either meeting friends for dinner or cooking a meal at home. 11:00 pm - Showered and in bed, my task list for the next day is dotted down. I may indulge in a little social media before shutting down. The drink I need most to get me through my day? Coffee in the morning. I enjoy a hot cup of water with a teaspoon of Fennel seeds and Kalonji (sister to Black Cumin) at the end of my day. This homemade tea is great for digestion. I love the Airbrush App. The Instagram account I love to follow is the good quote for positive infusion. For inspiration, Chanel baby! It's clean, elegant and timeless. What everyone should try once? At least once in your life, you should take yourself out on a fancy date. I did this when I was doing the Artist Way journey. It was beyond self-empoweringl. I drove myself to Santa Barbara, had a yummy lunch at a cute restaurant, got a massage, took my myself out for dinner and really pampered myself. In today's society, I think people find it challenging to do things on their own and to enjoy their own company. This was a great exercise on learning to be truly comfortable with yourself. I love getting lost in a bookstore! So many places and journeys to discover through books. I can literally go in there and spend hours!! Anita Wu and her sister Yin Yin Wu co-founded BOTANY Skincare in San Francisco, with a vision for mindful and effective green beauty. Born and raised in a small town in south east China, for the Wu sisters, herbs were central to their well-being by promoting balance of body and mind. Anita and Yin Yin have fond memories of their herb picking excursions to the nearby mountain with their mother and grandmother, a family tradition that has remained with the family for generations. Tired of looking for non-petrochemical based skincare products that meet their efficacy standards, the Wu sisters took it onto themselves to develop scientifically powered herbal skincare products based on their cosmetic science research. Five years ago Anita and Yin Yin set out to study the science of skin cell aging through literature research as well as formal studies at University of California at Los Angeles (UCLA) to find scientifically evaluated ingredients to include in their skincare formulations. Out of this effort Botany Skincare was born, introducing skincare products that are herbal driven and scientifically powered. My Goal of the Day: Prioritization, being able to say no so that I can do the things that matter to me. Stay positive and be productive! My Thought of the Day: Cross out the last bullet in my To Do list. My Action of the Day: Organization and efficiency. I enjoy not wasting more time than I need to complete my tasks. My Tip of the Day: Start early! Early birds catch the worm. I live in San Francisco. I love the food and diversity. Nothing is more fulfilling to start a Saturday morning than a nice warm latte and a fresh pastry. My favorite place is at Vive La Tarte in the SOMA area in San Francisco. 6:00 AM – Waking up! My morning always starts with my beauty routine which includes a facial massage using BOTANY Skincare’s anti-aging Refinersy facial oil and Genephy face cream. Once dressed, I prepare myself a cup of coffee with freshly ground beans and make sure to take the time to enjoy it before stating the day. Slower mornings help me think of what’s ahead and helps me plan how to spend my energy to make it throughout the day. My favorite lunch is a home cooked meal at the back yard of the office. 7:00 PM - I practice Yoga and meditation. 11:00 PM – Already asleep! I am usually in bed by 10:00pm right after my night time beauty routine. Water, water and more water with a bit of chia seed. I’m a water girl; I drink at least 8 glasses of water to stay hydrated. Foreign countries! I’ve had the good fortune of being able to live abroad in several different countries in Asia, Europe and South America. Learning about and absorbing different cultures and people has really helped me open my perspective in life. Eugenia Kuzmina is a fashion model, actress, and comedian born in Russia. Her dad was a Nuclear scientist. Eugenia's first entertainment gig was at 13 years old when she was pulled out from a group of kids in her school to appear in a Russian version of SNL " Eralash". Valleybrink Road is a boutique floral design and luxury gifting company. The vision of Barrett Prendergast, a florist, gifter, and lifestyle curator, Valleybrink Road is a natural extension of her love of entertaining and her passion for creating the perfect gift. 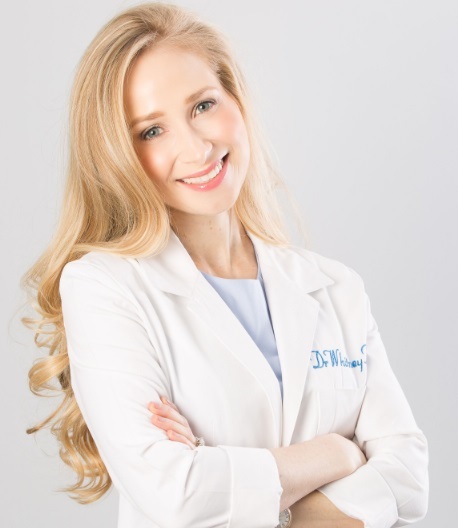 Dr. Whitney Bowe is the author of The Beauty of Dirty Skin (April 2018). 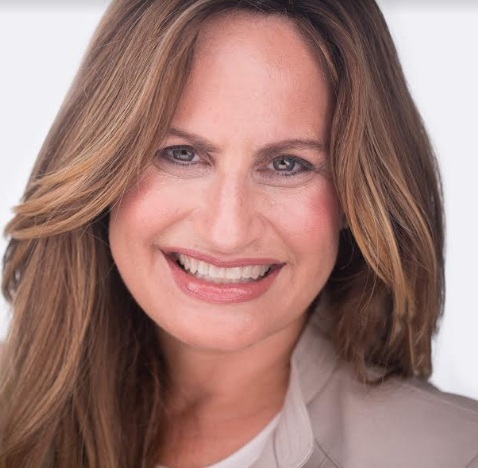 She is Medical Director of Integrative Dermatology, Aesthetics & Wellness at Advanced Dermatology, P.C., in addition to being a distinguished research scientist and a thought leader in her field.